I cannot pinpoint exactly when it started, this trend of menu item names detailing the provenance of every ingredient on the plate. It's not Salmon with Green Pea Sauce…its Line Caught Salmon with Chino Farms Green Peas and Hand Crafted Parmesan Tuile. 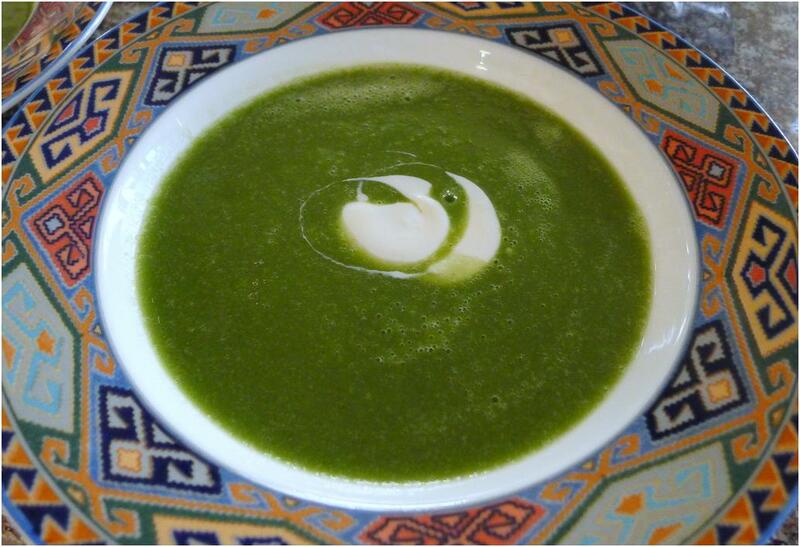 Its not Stinging Nettle Soup….it's a Bisque of Suzie's Farm Stinging Nettles. It was likely the outgrowth – and a logical one at that – of the best of the California Cuisine movement towards fresh and local ingredients, partnerships between chefs and purveyors, and a holistic recognition of the connections inherent in the from farm to table cycle. No doubt Alice Waters had quite a lot to do with it. 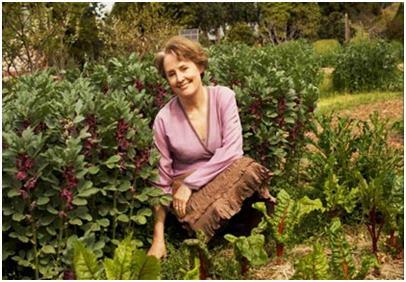 Her Chez Panisse restaurant in Berkeley, California is rightly considered ground zero for the movement. If hers was not the first restaurant to cultivate and forge strong relationships with its purveyors – and there can be no doubt that it was not – it was certainly the one that brought those relationships to the awareness of the American public and made it the centerpiece of the cuisine. I first became aware of this phenomenon at the late-lamented Region Restaurant in San Diego. Region’s Chef, Michael Stebner put a major emphasis on establishing relationship with various local purveyors and went so far as to design the restaurant around a massive chalkboard on which he colorfully and prominently listed his suppliers, each of whom were also credited on the menu. It took the Panisse approach to a new level. And it worked, in large part because the food at Region was so very good. In the years since Region’s demise, the sublime connection of farm and chef seems to have slid perilously downward toward the ridiculous. It is no longer just the high-end restaurants that do this. Even local eateries are footnoting their menu items. Do we really need to know the name of the fisherman? It is like the art collector who buys the painting because of who previously owned it rather than the inherent quality of the artwork itself. Does the dish taste better because you know the name of the farm? No. 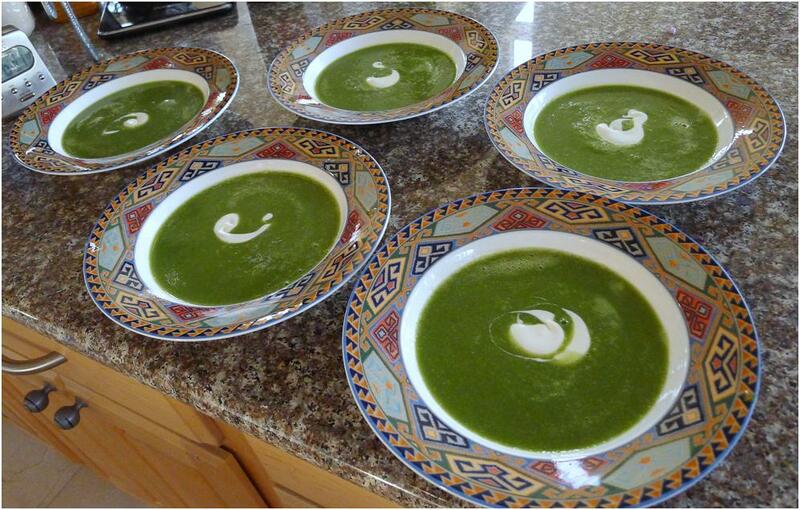 Whether its Stinging Nettle Soup or Bisque of Suzie’s Farm Stinging Nettles, it’s not going to taste very good if those nettles stay in the pot too long before being pureed…and they’ll taste just as wonderful if they do not. And that is the point. Somewhere along the line enumerating menu item provenance became a sort of shorthand for respecting ingredients. And some chefs used the crutch of that shorthand without having managed to get the point that the greatest way of showing respect for the ingredient was treating them properly and honoring them by showing what truly they could become. Conversely – paradoxically – what an insult to ingredient and purveyor to identify the source of an item that is overcooked! That does not celebrate the relationship between chef and farmer. The celebration ends at the instant the ethereal, ephemeral qualities of a superb item of produce evaporate into the ether. And yet there are times when the farmer does deserve some credit. There is sometimes something spectacular about an ingredient that deserves celebration. 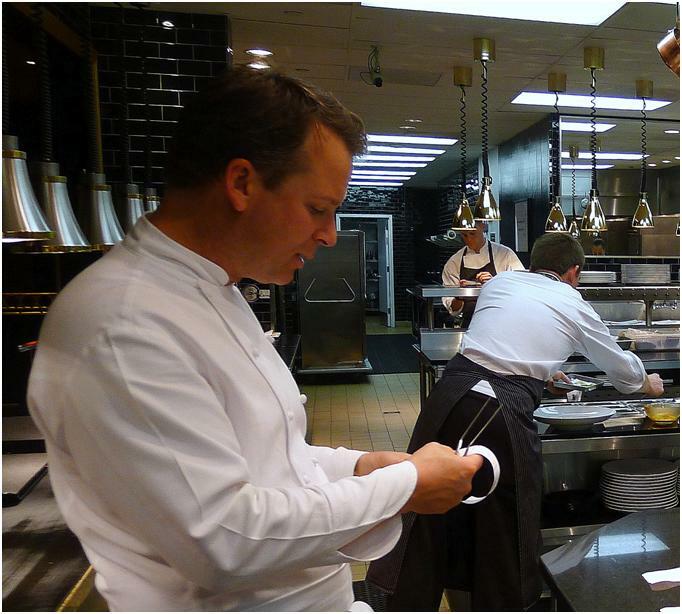 And there is something important about the relationship between a restaurant and its locale. Like the notion of “terroire” in wine, a restaurant in San Diego should not taste exactly the same as one in San Sebastian. If Chef Rene Redzepi were to open a Southern California restaurant it most assuredly would not feature the same Scandinavian ingredients as Noma. And that brings us back to those Suzie’s Farm Stinging Nettles. They are a spectacular ingredient that grows locally; one, indeed, that can be foraged. And yet Suzie’s Farm’s version has a both a sweetness and a peppery quality that is a more intense version of exactly that which makes a stinging nettle taste like a stinging nettle. It is an ingredient that is worth celebrating. My way of celebrating it does not depend on the name of the dish, it depends on keeping things simple and cooking them properly. My recipe for Stinging Nettle Soup is neither elaborate nor technically challenging. It does, however, absolutely depend on adding the nettles at the very end of the cooking process. They must cook just long enough to break them down…but not so long as to lose their fresh, sweet and spicy properties. Sweat the Aromatics. Separate the white and green part of the leeks, reserving the green parts. Cut the leeks in half, lengthwise and wash them, being careful to get out the dirt between the layers. Chop the white portions of the leeks in half moons. Trim and chop the onion, carrot and fennel. If you like, reserve some of the fennel fronds for a garnish. Combine the olive oil with the chopped leeks, onion, fennel and carrots in a soup pot over medium heat. Once the aromatic vegetables come up to temperature, reduce the heat to low and sweat the aromatics for five minutes. Begin Making the Soup. Turn the heat to high and add the stock. When the stock comes to a boil, add the potato and – when it returns to a boil – reduce the heat to medium and cook for five minutes. Prep the Nettles. Meanwhile, wearing gloves (or plastic bags on your hands), wash the nettles, taking care not to touch them. They are called “stinging nettles” for a reason: they have a toxin that, depending on your sensitivity, can be a mild irritant or will actually hurt if you touch the vegetable with your naked skin. 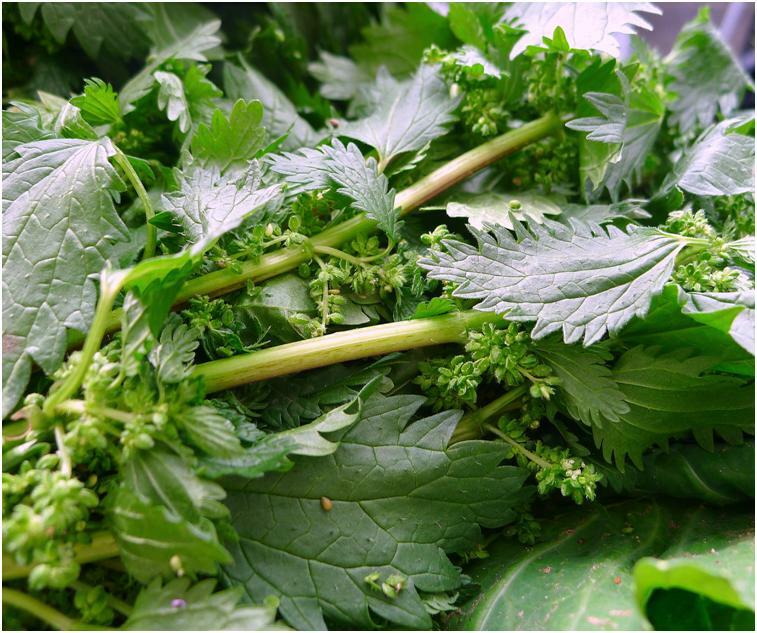 There is no need to worry about eating the nettles, though, as even a small amount of cooking will make the nettles completely safe to eat. In the process of cleaning the nettles, remove and discard the hard, woody stalks. Roughly chop the nettles. Finish the Soup. Add the nettles to the soup and cook over medium heat just long enough to break down the nettles (which also serves to remove the toxin), about five minutes. You do not, however, want to overcook the nettles. They should still have a slight peppery tingle on the tongue. Using an immersion blender or, working in batches, a high speed blender (such as a Vita-Mix) or food processor, puree the soup. Plate the Dish. Ladle the soup into bowls. Garnish using the Mexican Crema.